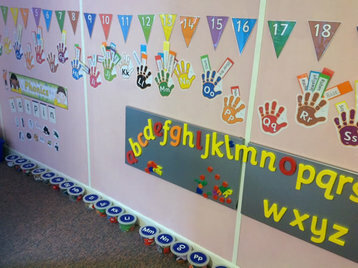 The nursery provides the first step to 'early years education'. Whilst attending our pre-school the children will follow the early years foundation stage, concentrating on seven key areas of learning. Observation of the children during their activities provides the underpinning planning for ongoing activities, thus ensuring the children develop at their own pace, and appropriate to their personal development. The children will create a learning journal of their nursery life and development. We aim to develop a sense of personal identity and to promote self-esteem. It is central philosophy of the nursery that the children should be encouraged to show respect, consideration and empathy for each other and towards the staff. We use positive role models to introduce diversity to the children and celebrate multi-cultural festivals to make learning really interactive! There are plentiful opportunities for children to work independently - whether alone, in pairs or in groups - planning, playing, testing, making, creating, and discovering. There are periods of sustained activity to develop their learning to its full capacity. All children will be active both physically and mentally, but most importantly their time with us will be enjoyable and fun! 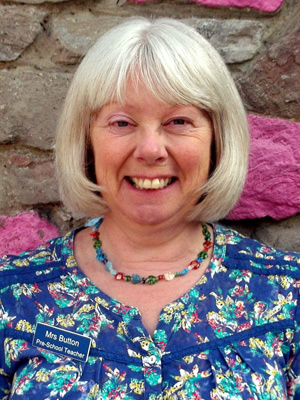 In addition to our Pre-School provision is a qualified teacher, Mrs Mary Button (see photo) who works with small groups of pre-school children with a focus on language,literacy and mathematics. This includes regular systematic activities based on the Letters and Sounds programme, opportunities to promote writing skills and mathematical play for the exploration of both numbers and space, shape and measure. The small group structured activities are then reinforced and extended within the pre-schools giving children opportunities to consolidate and make links during their play.